Why should I use a furniture designer or home accessories professional in Edmonton, AB? Think about the overall look of the room and what all you need for it. Do you have very specific ideas for what furniture you’d like or do you just know the colour palette or the basic type of furnishings and home accessories you want? If you have very specific ideas it could be an option to look at good furniture showrooms in Edmonton, AB. If you have unique ideas it is best to approach furniture manufacturers, they will produce one-of-a-kind pieces to make your ideas come to life. 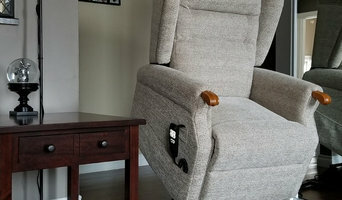 If you are not sure where to start, hire an Edmonton, AB home furnisher to help you choose furniture and accessories to work with your interiors. Professionals with years of experience will have a great eye for picking out the pieces from the right furniture showroom in Edmonton, AB based on your brief and your room design, saving you the time and stress of hunting down the pieces yourself. Don’t forget home decor can provide the finishing touches to any room in the house. Table lamps, plants, cushions, rugs, candles, ornaments, artwork and picture frames are just a few of the home decor elements you can use to round off the style of your room and add personal touches. It’s easy to find ideas for these smaller furnishings with plenty of home decor items and products available online and listed in many furniture showrooms in Edmonton, AB. What should you know about a Furniture and Accessories Manufacturer in Edmonton, AB? Start your research right here on Houzz. Read through professionals’ profile pages to find out their location, look at photos of their work and check how long they've been in business. Read any reviews by design professionals and find out which furniture showroom in Edmonton, AB offer the best customer service. 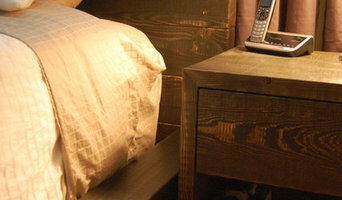 If your style or space is unique, it will be wise to consult a custom furniture manufacturer.